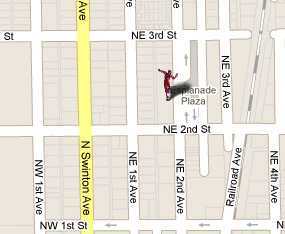 Long known as a walkable trendy downtown area with emphasis on the creative works of a large variety of artists, now planning for a February 2011 opening, the 5500 sq ft Arts Garage is being built on the grounds of the Old School Square 531-space parking garage at 180 NE 1st Street. 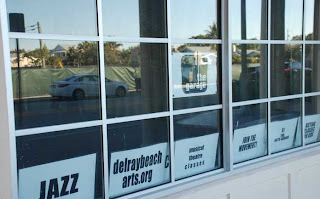 An artists community already long exists in Delray Beach, e.g. musicians who perform along Pineapple Grove Way, marketing and public relations computer savvy students who help the artists, actors who are performing in local productions and painters who work on their canvases. In 2006, the Creative City Collaborative resulted from a $50,000 study detailing the importance of the arts as an economic engine and agent of revitalization, and is just awakening from dormancy. 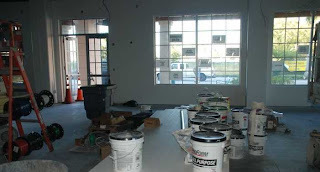 It is a nonprofit organization whose executive director and staff and the finishing of the interior space are funded by the Community Redevelopment Agency. 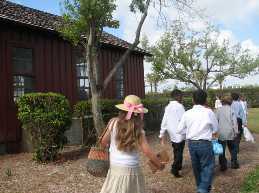 Live and musical performances, foreign and documentary films, classes and workshops are being planned. There will be musical theatre classes for children. A schedule of events and classes will be announced soon. The Collaborative was created by the City Commission to foster the arts, and will occupy this city-owned building. 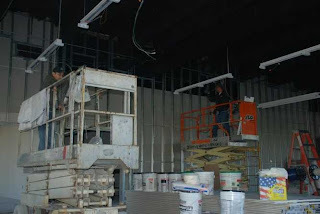 Bays will be created for workshops, exhibit space and a performing arts stage. It is being planned as an “open place with open doors.” This will be a pilot project for a warehouse owned by CRA on NE 3rd Street which the Collaborative plans to turn into an arts incubator. 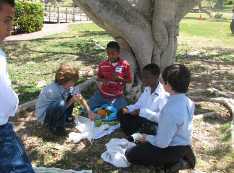 Artists who would like to participate are encouraged to contact the Collaborative. 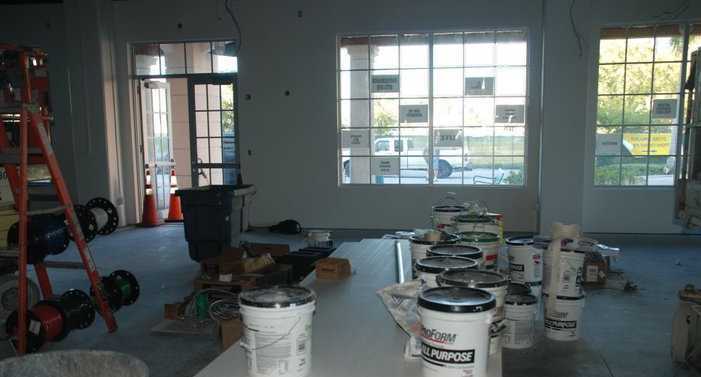 Email garage@delraybeacharts.org for further information. 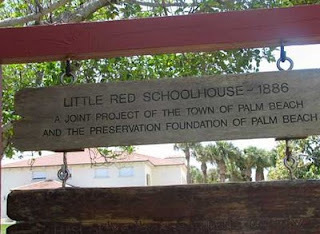 Pioneer Day at the Little Red Schoolhouse in Palm Beach is tentatively scheduled for Tuesday, January 15, 2011 from 1-3 pm. 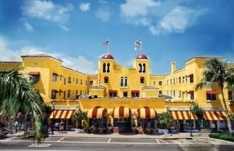 Check with the Preservation Foundation at 561-832-0731. 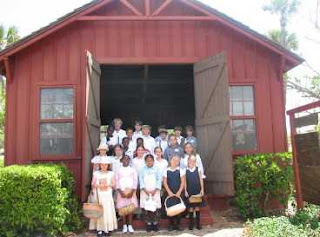 It is now home to a program of Palm Beach’s living history taking children back in time for a mini-day in a one-room school of the 1890’s, home to The Preservation Foundation of Palm Beach. The Little Red Schoolhouse is in Phipps Ocean Park in Palm Beach, 2185 South Ocean Drive in Palm Beach. 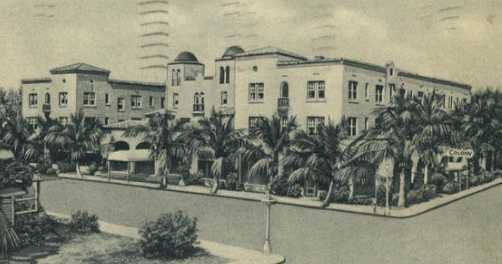 Refurbished in 1960 by the Gardeners Society of Palm Beach and the Town of Palm Beach, it remained unused until 1990 when it became part of the pioneer education program. Education in America’s one-room schoolhouses stressed discipline, moral values and “the 3 R’s.” Visiting students today participate in a spelling bee, trace Spencerian script and recite from Tom Sawyer, Little Women, The Ancient Mariner and McGuffey’s Readers. 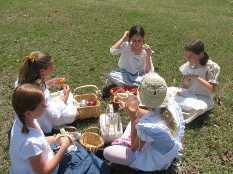 Period artifacts are also part of the pioneer educational experience. 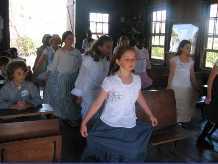 Starting with seven students in 1886, there were 35 students by the 1880’s. 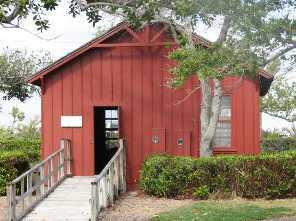 The schoolhouse was located about a mile north of the Royal Poinciana Bridge on Lake Trail in Palm Beach. 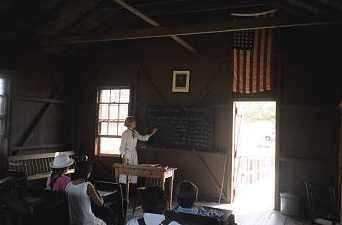 Children arrived by boat, bicycle or on foot from Lake Worth families and were all taught together in one room. The school ceased operation in 1901 and became a tool shed on the John S. Phipps property, falling into decline and deterioration in future years. 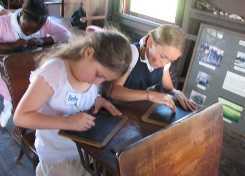 Preserving past educational history and its artifacts is so important to the school children of today. 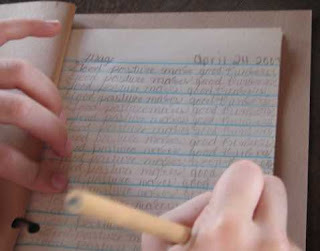 There are interesting positive lessons to learn from the past. 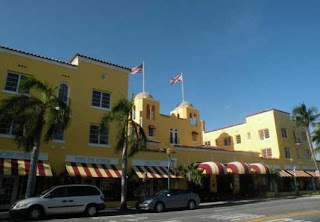 With its distinctive Mediterranean architecture and yellow exterior sporting red and yellow striped awnings that shade the guest rooms and hotel frontage, the 1926 Delray Beach Colony Hotel, located on trendy downtown Atlantic Avenue, recalls the romantic Flagler era and the talents of Addison Mizner, a grand period indeed. 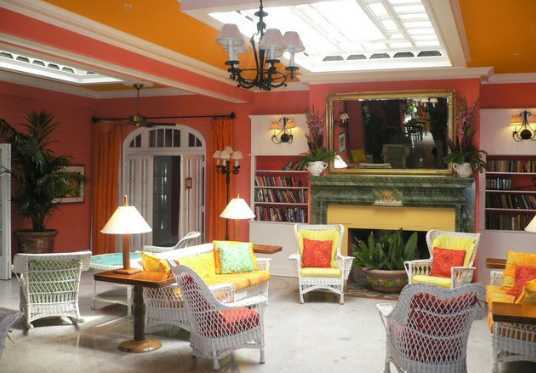 The Hotel is smack dab in the middle of many boutiques, art galleries, and restaurants ranging from ethic to fine dining. Lunch on the front porch can become a ritual. The original manually operated elevator remains, along with original candelabras and chandeliers. The lobby features French Doors and a wood burning fireplace. 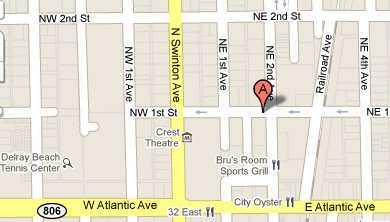 Many weekends there are arts and/or crafts fairs and green markets to browse, off Atlantic Avenue. Some nights jazz drifts though the area to the distinct pleasure of diners eating outside at sidewalk cafes. What could be more relaxing or romantic? The ocean and beautiful white sandy beach are only 5 blocks walk heading east. The Colony Cabana Club, a private beach club located two miles from the hotel, where seagrapes, coconut palms and native flora sway in the breezes of the Atlantic. Hotel guests have use of 250 feet of private beach with complimentary umbrellas, cabanas and chaises, right on the beach. The emphasis is on casual, but this is a sophisticated, worldly, enticing environment. 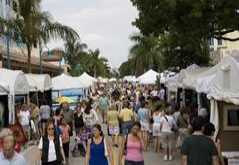 Delray Beach will hold the next Art & Craft Fair in Pineapple Grove, north on NE 2nd off Atlantic Avenue, from 10 am to 5 pm. More than 100 booths will be featured. Items to browse and purchase will include some of the finest arts and crafts in the US e.g. life sized sculptures, paintings, handmade jewelry, pottery and some very unique treasures. Don’t miss the adjacent crafters market place with handmade body products, beautiful candles, wood plant holders and an expansive green market. Show is now closed in jewelry category and only wait list applications will be accepted for this category. 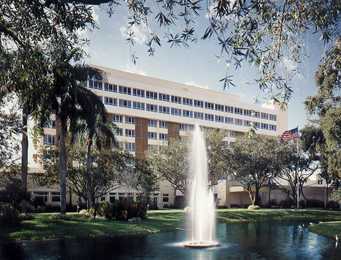 DESPITE FORECLOSURES, COOL WEATHER, RAMPANT UNEMPLOYMENT - NOW SEE THE GOOD NEWS! RANKS HIGH IN LIFE EXPECTANCY! A joint version of property appraisal guidelines was released 12-6-2010 by the Federal Reserve, the Office of the Comptroller of the Currency, the Federal Deposit Insurance Corp., the Office of Thrift Supervision and the National Credit Union Administration. 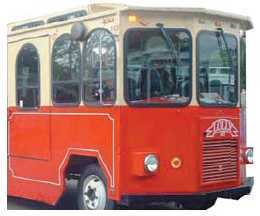 It is expected that this will be the final version. 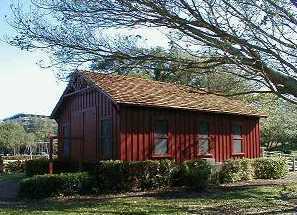 Appraisal independence is cited, with lenders exchanging information with appraisers, but not being able to “directly or indirectly coerce, influence, or otherwise encourage an appraiser or a person who performs an evaluation to misstate or misrepresent the value of the property.” Lenders cannot tell appraiser of any expected or qualifying estimate of value, nor mention a minimum value requirement for approval or condition of the valuation being ordered. Lenders can’t tie compensation to appraiser to loan approval, nor blacklist an appraiser if valuations do not meet expected thresholds. BPOs (broker price opinions) do NOT comply with minimum appraisal standards. OH MY, WHAT IS THERE TO DO? 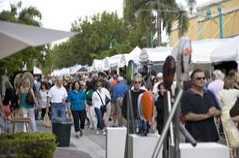 Head over to the Delray Art League Show: 10 a.m.-4:30 p.m. on weekends, Dec. 11, 12 , 18, and 19 at Veterans Park, 802 NE First St., Delray Beach. Free. 561-843-2311. Note that the cruise boats leave from the pier in Veterans Park for a delightful trip up and down the Intracoastal Waterway, viewing gorgeous mansions and luxury condos. Narrated Bus Tours of Historic Delray Beach: Museum of Lifestyle & Fashion History. Registration 10 a.m., departure 11 a.m. Dec. 18 from Boynton Beach Mall, 801 N. Congress Ave. Adults/seniors $15; under 18 free. delraybeachbustours.org; 561-243-2662. BRRH has received a $10M donation from business woman Christine E. Lynn and is developing the Christine E. Lynn Womens Health & Wellness Institute with this donation. Another donation will enable renovation and updating of the orthopedic rooms beginning in early 2011. Some revenue slid IN 1Q 2010 because the hospital started a discount program for uninsured patients who now get 50% off gross charges at the hospital. 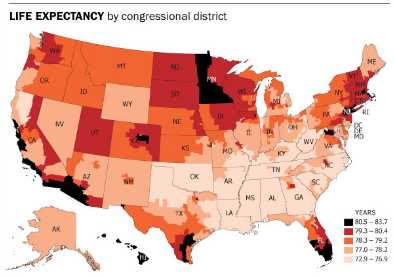 With uninsured patients paying smaller bills, there was less bad debt on the hospital’s books. The loss was less than the same quarter last year which was $4.1M. Typically, 3Q is the slowest part of the year for admissions as more patients are seen when the snowbirds are in the area in the winter months.